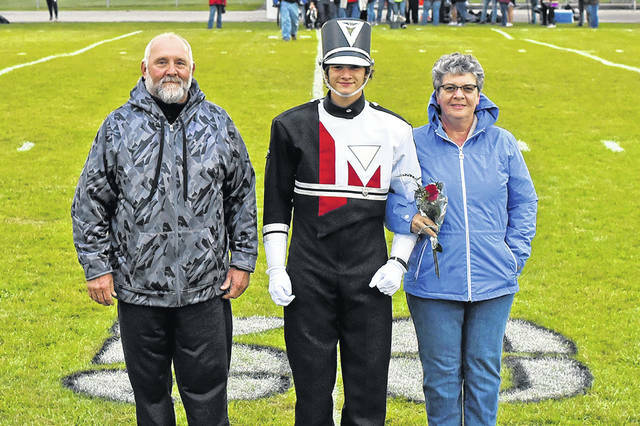 UNION CITY – A dreary, rainy and cold night didn’t dampen the Senior night ceremony and evening for Mississinawa Valley as they registered an historic 26-6 win over Arcanum for the first time in 25 years. 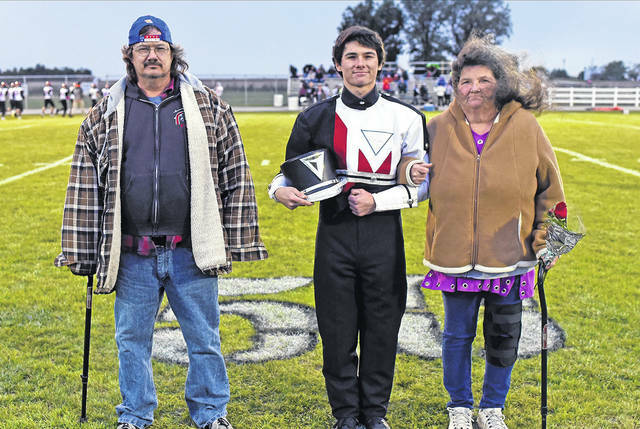 Fifteen seniors were introduced before the game including six for football, four for band, three cheerleaders, one cross country runner and one golfer. 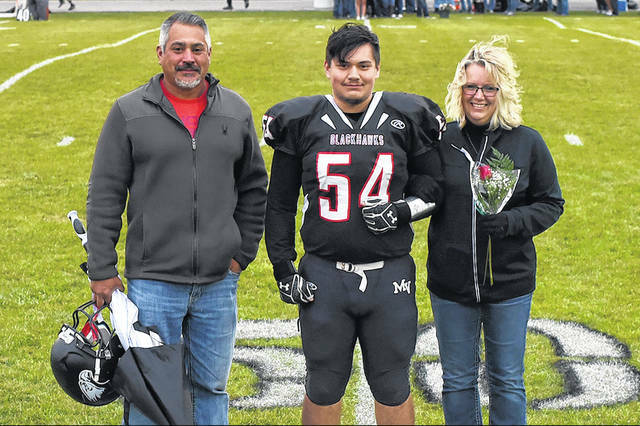 Alex Anguiano is the son of Nichole and Ismael Anguiano. His activities include Football 4 year and has attended 3 Lan Wars and achieved a Gold Nova status in game of Counterstrike. He plans to attend college and pursue a degree in Computer Programming. Daisy Brim is the daughter of Chrissy and Derek Brim. Her activities include Dance team 3 years, Football and Basketball cheer 3 years, FFA 5 years, Food Science team 5 years, SADD 4 years, Foreign Language club 3 years and Sandy’s School of Dance 7 years. She plans to attend Sinclair Community College and earn a degree in Business and one have a business of her own. 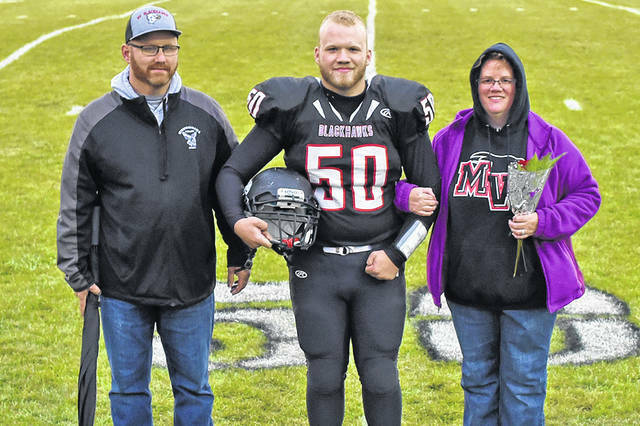 Trent Collins is the son of Mindy and Rob Collins. His activities include Baseball 4 years, Basketball 4 years, Football 3 years and golf 1 year. He plans to attend a 4 year college to become a Math Teacher. Ceirek Daniels is the son of Kathy & Doyle Daniels. His activities include Band, Choir, Honor Choir and Physical Training. He plans to go through boot camp and eventually go to college or technical school. Will Hall is the son of Ida and Scott Hall. 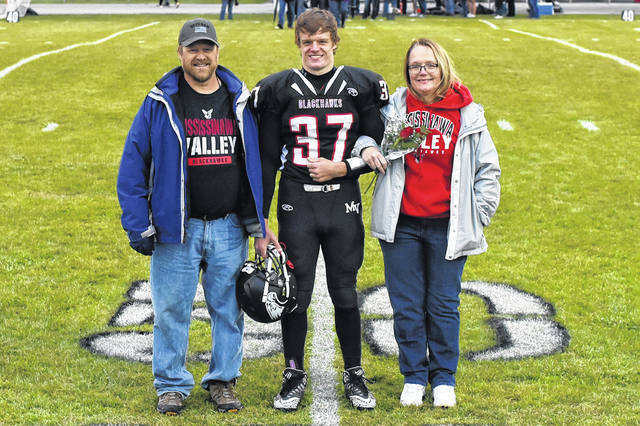 His activities include Football 4 years, Basketball 3 years, FFA 5 years, National Honor Society and 4-H 9 years. He plans to attend The Citadel and major in Criminal Justice. Zebediah Hannan is the son of Beth and John Hannan. 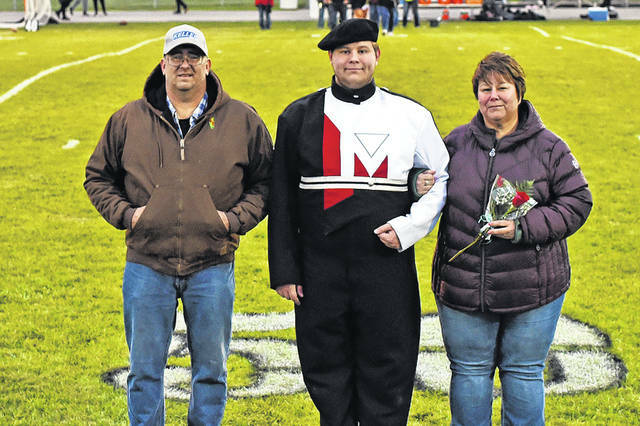 His activities include Football 6 years, Band 8 years, FFA 3 years, 4-H 5 years and Darke County Jr. Fair board 4 years. 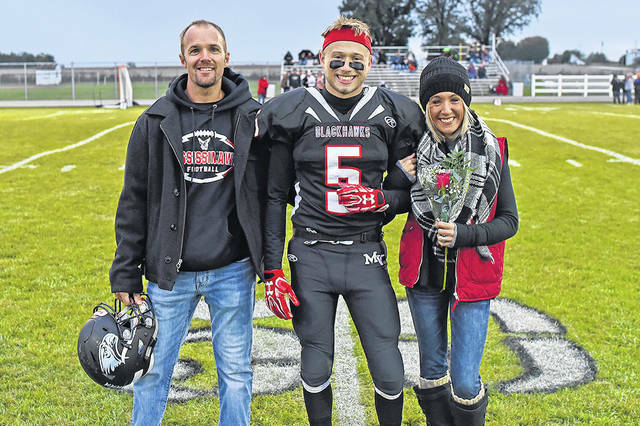 He plans to attend The Ohio State University majoring in Construction Management Systems with a minor in Real Estate. Elijah Livingston is the son of Cleyo Livingston and Janal Maggard. His activities include Football 4 years, FFA 5 years and Foreign Language Club 4 years. He plans to go straight into the workforce and help out on the family farm. Justin Miller is the son of Aislinn and Greg Miller. His activities include Golf 2 years, Basketball 4 years and FFA 4 years. 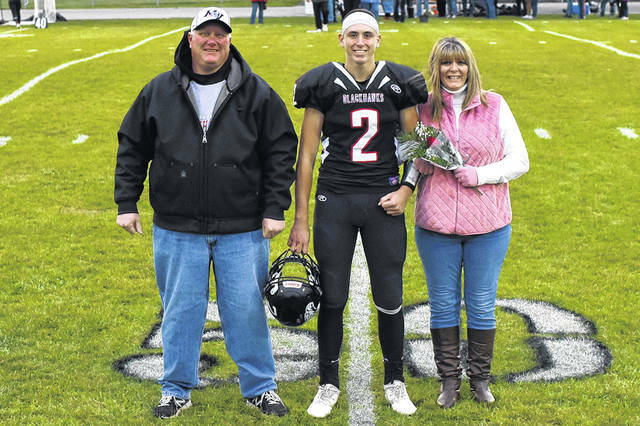 His future plans are to attend the University of Northwestern Ohio to study Diesel Mechanics. Kyler Mote is the son of Amanda and Jason Mote. His activities include football 4 years and FFA 4 years. 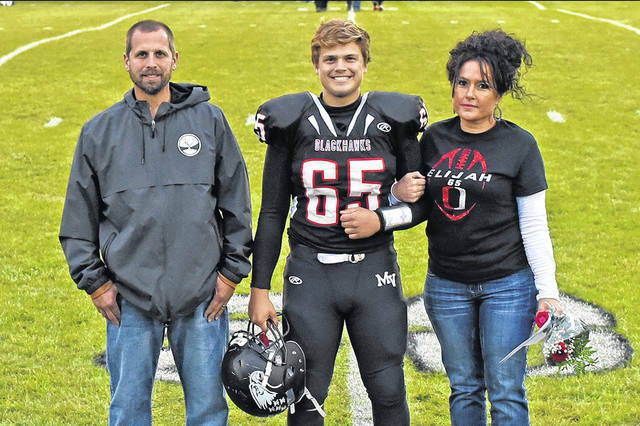 He plans to attend the University of Cincinnati and major in Aerospace Engineering. Lucas Newbauer is the son of Tara and Chad Stewart and Phil and Jana Newbauer. His activities include Marching Band, Bowling and Concert Band. He plans to go to college and the US Navy. Matt Slyder is the son of Julia and Jeff Slyder. His activities include Band, SADD, NHS, Student Council, Bowling, Foreign Language Club and Drama Club. 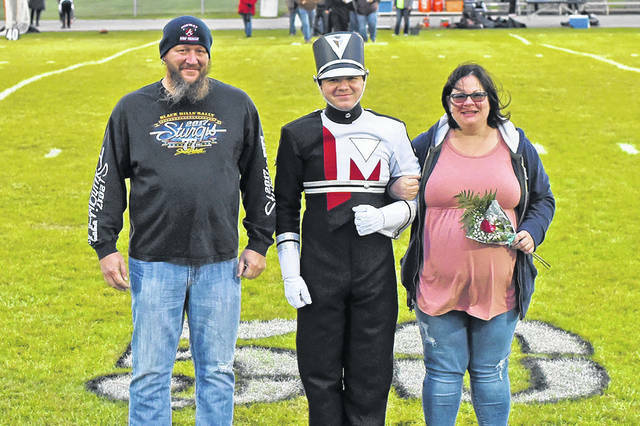 He plans to attend the University of Toledo and major in Electrical Engineering. Addison Spitler is the daughter of Sonya and Jack Spitler. Her activities include Football Cheer 4 years, Golf 1 year, BPA, SADD, Student Council, Art Club, Science Club and Foreign Language Club. 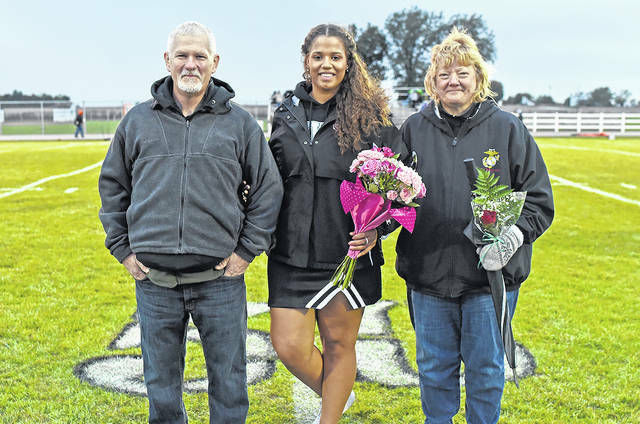 She plans to attend a University to receive a bachelor’s degree in Nursing and Business Administration. 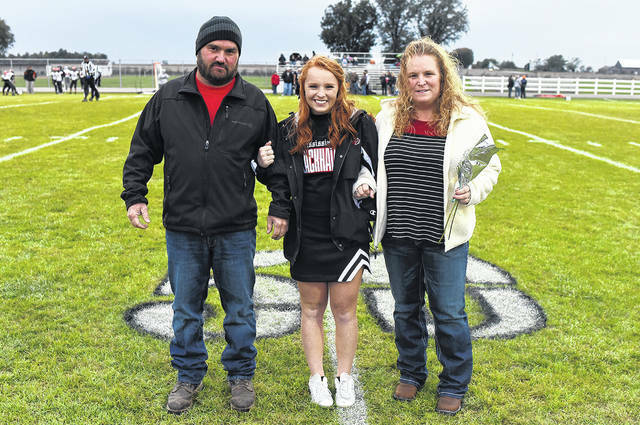 Macy Stewart is the daughter of Shannon and Shawn Stewart. Her activities include Cheer and Dance 4 years, Volleyball 4 years, Basketball 3 years, SADD 4 years, FFA 4 years, Foreign Language 3 years and Sandy School of Dance 7 years. 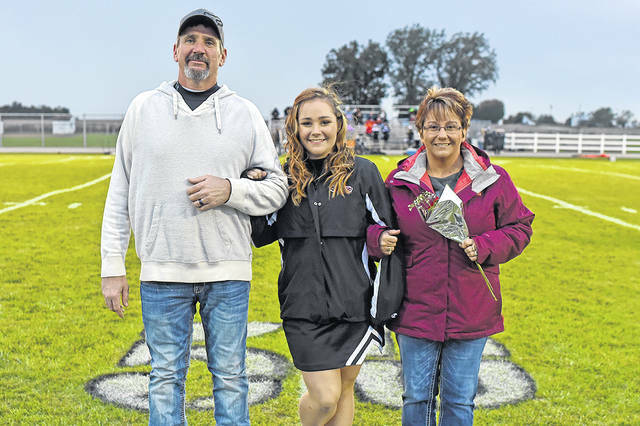 She plans to attend Bowling Green State University and major in Marine Biology or American Sign Language to be an interpreter. 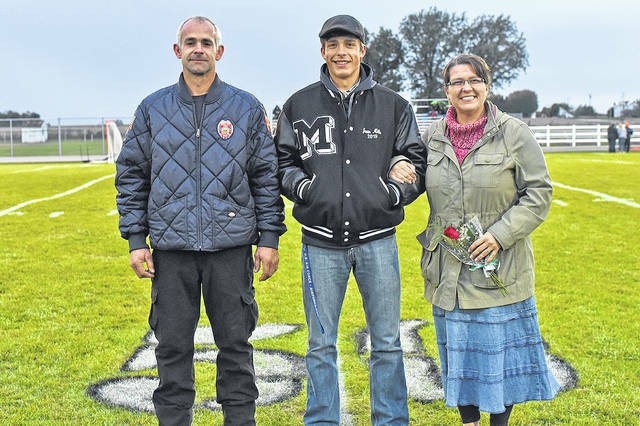 Brandon White is the son of Teresa and Brian White. His activities include Marching Band, Jazz Band and Concert Band. He plans to attend a college for bachelor’s degree in Music Education and Master’s in Music Performance. Shawn Wogoman is the son of Cheryl and David Wogoman. His activities include Cross Country, Bowling and Fire Fighter/EMS at MVCTC. 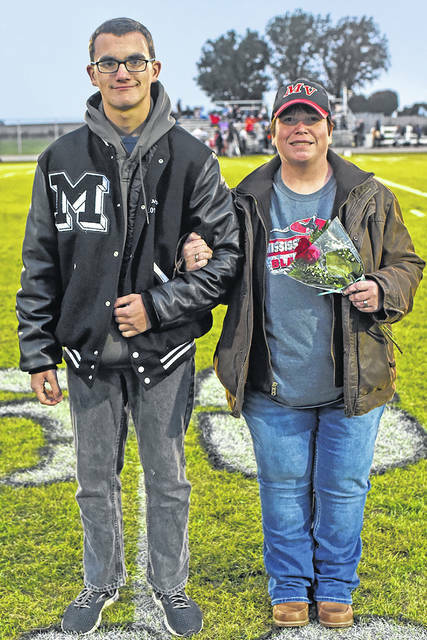 He plans to finish Military training at Fort Benning and attend Sinclair Community College for a Nursing Degree and become a Firefighter/Paramedic.